The Questies sneak through the stacks of the grand Oldham Athenaeum to break into the heavily guarded underground vault. 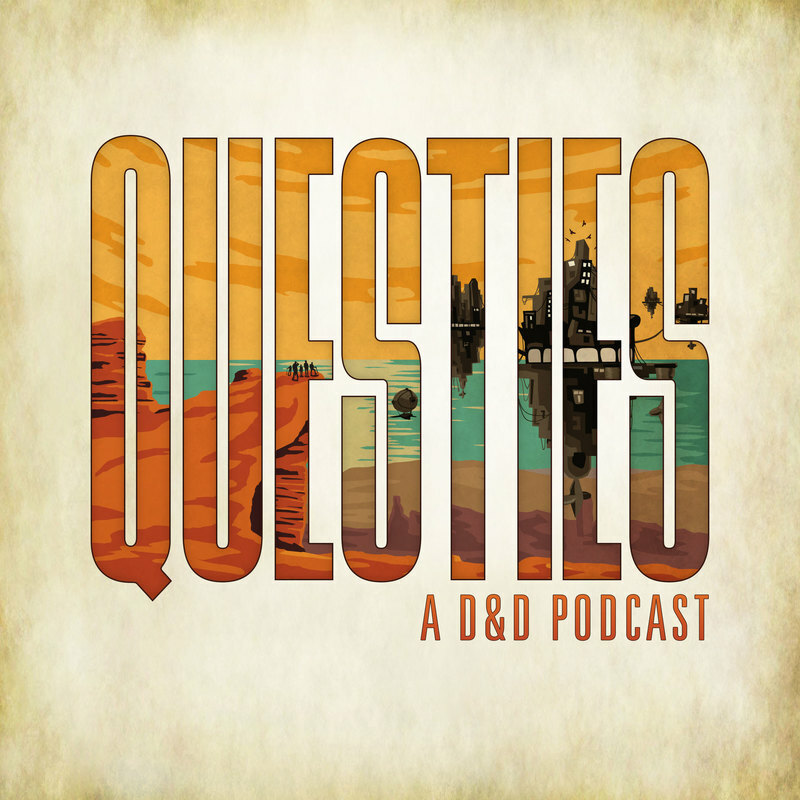 Questies is a real play homebrew Dungeons Dragons adventure podcast full of tom foolery. New episodes every other Tuesday. Check out our website (questies.cool), Twitter (@QuestiesPodcast) and Facebook (facebook.com/QuestiesPodcast). The Questies enact their plan to infiltrate the Oldham Athenaeum with the help of their new friends. In Merrick and Vin's magic mobile laboratory, the Questies devise a plan to break into the mighty Athenaeum to find the perfect book. While wandering the sewers below the besieged Oldham, the Questies fight off a number of gruesome Gripthox foes. The Questies make it to Oldham, which is under siege by mountainous stone golems. They sneak their way into the grand Oldham Athenaeum, but will they follow the library rules? The Questies make a rocky escape from a flying zeppelin on their way to Oldham, and run into a few old friends. After making a scene in Newham, the Questies interrogate a ruthless lizardfolk assassin and embark on the next leg of their journey... flying the friendly skies to Oldham. The Questies investigate the crime scene and pursue a prime suspect... but can they stop a murderer's reign of terror, or will they be too late? The Questies recover from the surprise betrayal, and gather some loot after interrogating their attackers. They seek refuge in the city and continue on with their investigation. Treachery! The Questies are betrayed at their favorite Newham bar, and must fight to save Zeph... and survive themselves. But at least the music's good.